The challenge will be your own interpretation. The challenge will be judged the same as it has been in the past, but there will be an additional ribbon this year given by the committee for the quilt we think best meets the challenge. 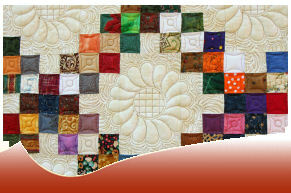 --Entries may not have been entered in a previous Red River Quilters quilt show.